This gives calculated values of Rmax, the radius at which the magnitude of wave function is greatest, for the valence d orbitals. Image showing periodicity of the chemical elements for valence d-orbital R(max) in a periodic table cityscape style. 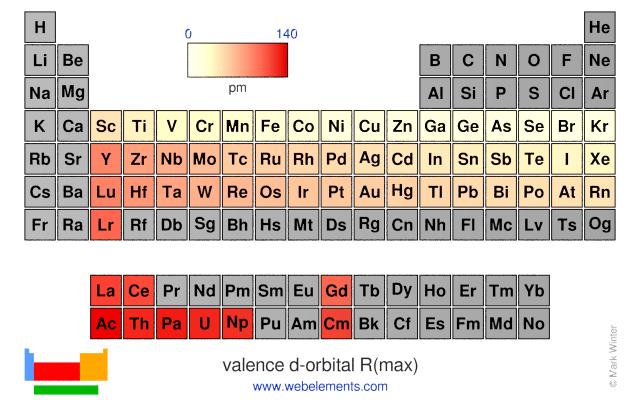 Image showing periodicity of the chemical elements for valence d-orbital R(max) in a periodic table heatscape style. 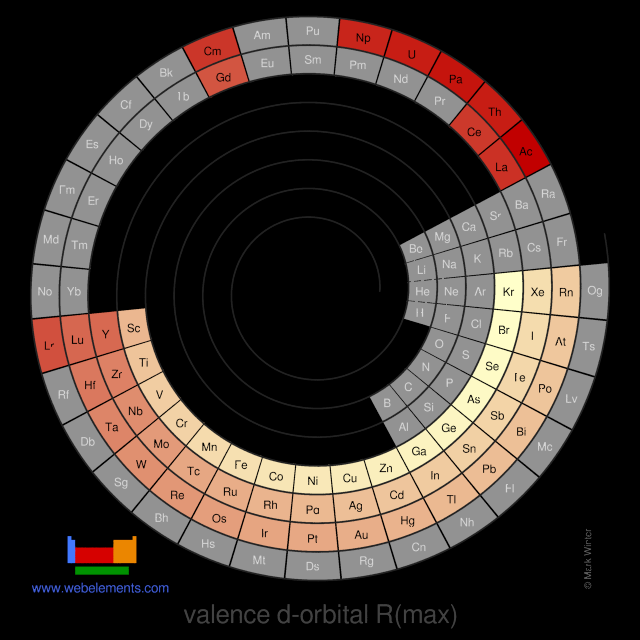 Image showing periodicity of the chemical elements for valence d-orbital R(max) in a spiral periodic table heatscape style. 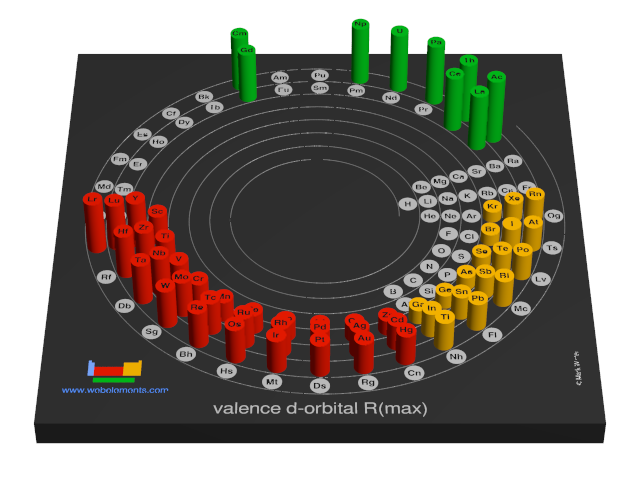 Image showing periodicity of the chemical elements for valence d-orbital R(max) in a 3D spiral periodic table column style. 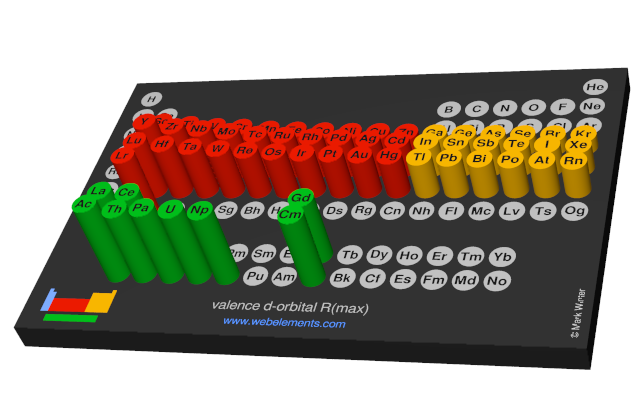 Image showing periodicity of the chemical elements for valence d-orbital R(max) in a 3D periodic table column style.